Next year when the IMEX World Convention opens in Berlin and the World Trade Mart Meet kicks off in London, mana Hyderabad will be pitching its might as a global convention hub against these cities right in their backyards with its Visit Hyderabad pitch. 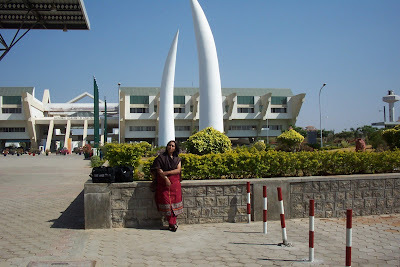 All thanks to the newly set up Visit Hyderabad Convention Bureau that will soon hit these big ticket international conventions to hardsell the city of pearls, biryani, haleem and now of course IT/ITeS as the preferred destination for meetings, incentives, conferences and exhibitions (MICE) industry. The bureau, which has been set up by the state government in public-private partnership with the GMR Hyderabad International Airport and the Hyderabad Convention Centre (HICC),will be headed by a separate CEO and will be run by a board comprising all the stakeholders. While GMR and HICC have made a combined initial investment of Rs 1 crore in the bureau, which is also likely to include another dozen or so stakeholders, with the rest being funded by the government. The bureau, which is a one stop shop for conventions, will be dedicated to promoting and showcasing Hyderabad across the world at global events like the IMaCs and WTM as a lucrative destination for MICE, Andhra Pradesh tourism minister Dr Geeta Reddy, said while unveiling what is perhaps the first of its kind initiative in the country. While we have been doing well in domestic tourism, we need to do more for international tourism including marketing ourselves aggressively. The state tourism department will work together with hospitality players, airline companies, and travel service providers to build supporting infrastructure and facilitating the logistics for these conventions, she added. The state government had also roped in the Indian School of Business to prepare a detailed report on the initiative,which is expected to help the city reap huge dividends. According to ISBs findings, the convention bureau could result in a two-fold jump in MICE tourism revenue to the state from 22.1% to 41.1%. The initiative is also expected to create 39,000 jobs and add an annual inflow of over 60,000 delegates to the city by 2015, the ISB study revealed. International Congress and Convention Association (ICCA) president Arnaldo Nardone too is bullish about Hyderabads MICE potential and the role that the bureau can play in tapping it. The bureau will be recognized by international associations all over the world, who will now be looking to come to Hyderabad, post the ICCA conference. In the next five years or so, we have no doubts that India will be leading the BRIC countries in the meetings industry, he said.